With our payroll franchise, you do not need to understand how to do payrolls or keep up to date with the latest legislation. Your only role is to visit businesses and get them to sign up to our fully-managed payroll service. Once you have done the hard work in securing the client, you get a recurring income stream from that client, without having to do any more work. Your customers get web access to their own dedicated control panel as do all their employees. With Payrolls Direct, payroll is just the tip of the iceberg. Employers can manage their staff better and increase their productivity, using our HR systems and HR Library. They can allocate projects and tasks to their employees and monitor their progress. Employees can collaborate on projects seamlessly, even when working remotely, via their dedicated control panel. In addition, employees can do all their submissions online, including timesheets, holiday requests, expense claims and more. For businesses, employing trained staff that have an in-depth knowledge on how to operate payroll is expensive; as is the latest software required with its annual maintenance charge for regular updates. Most businesses, therefore, struggle with their payroll and are unable to keep up-to-date with the latest employment legislation. 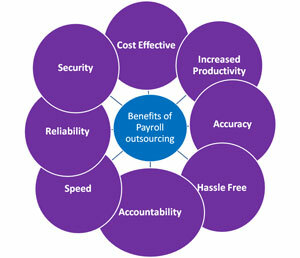 It therefore makes economic sense to choose to outsource their payroll requirements, rather than risking penalties for late returns and non-compliance. We provide all businesses with an outstanding service.They have a 0800 number to call whenever they need to speak to a real person in connection with their payroll. As we manage your customers payroll, all we have to do is to teach you is how to get businesses to sign up for our services. Your customers pay you directly, every month, by direct debit. As you increase the number of clients, you can afford to take more time off, and you will not be missed! If you would like to offer competitive payroll services in your area, while we set new standards for personal service that focuses 100% on the needs of your clients, you have to sign up fast as we only have a limited number of licences to award in the UK. You can manage this business from home or a small office, as all your communications with your clients are done either face-to-face with your clients, in their premises, or via phone and email. We provide you with the brand and all the marketing you need to start growing your clientele. You choose when you work, how many hours you work, and therefore how much income you generate. Contact us to learn how you can get started today. If you are searching for a low risk business, with few overheads, that offers concrete services that businesses need, then register your interest today. According to the UK Government, there were an estimated 5.2 million businesses in the UK which employed 25.2 million people in 2014. Most of these businesses are serviced by 280,000 accountants that charge a large amount of money for their payroll services. They have to charge high prices to cover their overheads, including large salaries and expensive offices. They also get electronic brochures included in their extensive marketing pack. They can start marketing our services immediately and benefit from lifetime support via email and telephone. Repeat income that grows every month? You bet! Your earnings are entirely in your hands, the market place is huge and your clients pay you monthly, each and every month. Please complete the short form below to request more information from Payrolls Direct. If you choose to register an account, in the future you will be able to login using your email address and password to quickly request information from other companies.